Classes provide not only an effective self defense program, but a means of developing life skills, social and leadership skills, and a strong character. These classes offer a safe and effective means of self defense and a rigorous form of exercise. 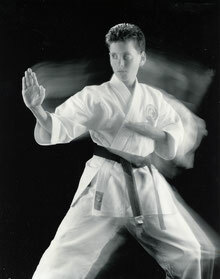 Karate training can aid in weight reduction, stress relief, flexibility, and core training. Enjoy the confidence that comes with knowing you have the skill to protect yourself and family if the need should arise. We have created a "tai chi" type of exercise using traditional karate movements. 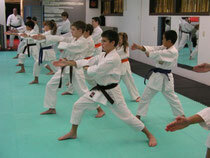 Each class is taught to improve joint health. This is a gentler, non-impact art form developed to increase flexibility, full body movement, & balance for fall prevention. Classes involve practical self defense moves for the busy individual who doesn't have the time to study a formal form of martial art. Additionally discussions on awareness, conflict avoidance, stasistics & body language will be covered in the class.